A nice reader sends us a pic of our comicbook at San Diego ComiCon. The world will be ours soon! Mwahaha! 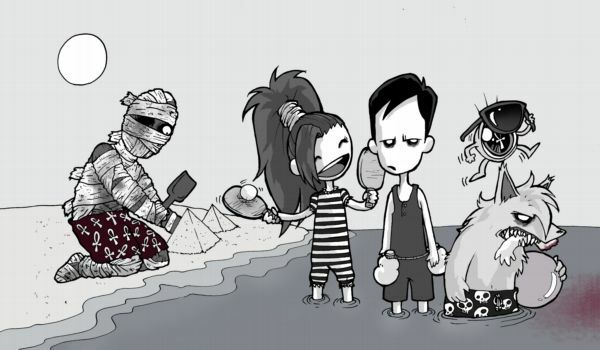 Enjoy summer and stay ghoulish! See you ev'ry monday! This is the end of the ghoul saga. So now you already know Glenn! Ain't he lovely? But wait! The next week we begin with a new series, and you will meet a very special girl... Enter Siouxie! Join us at Facebook & Twitter! Please feel free to ad us, or write a comment, we want to know your opinion! 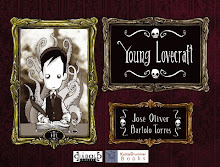 Do you like Young Lovecraft? Help us to keep going and donate! YL @ Myspace. Add Us!